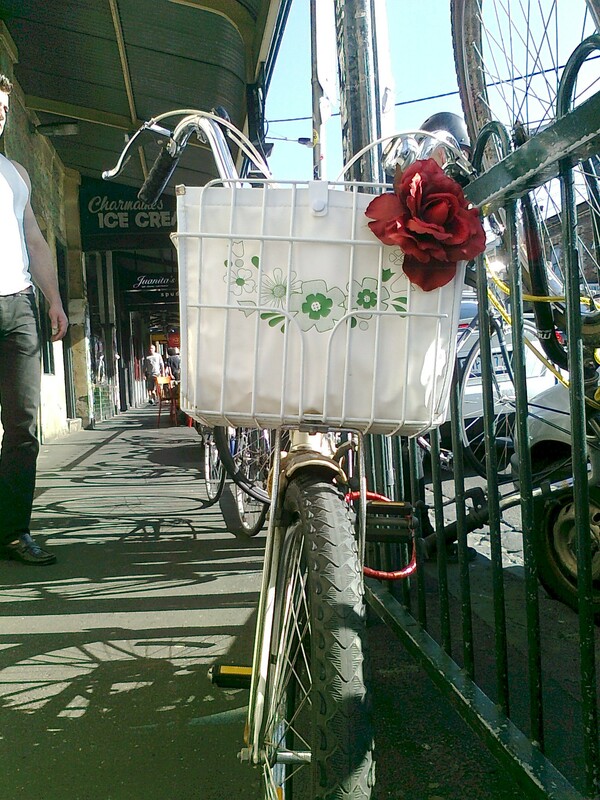 Another sunny springy Sunday in Fitzroy: so many bikes, so little time. 1. 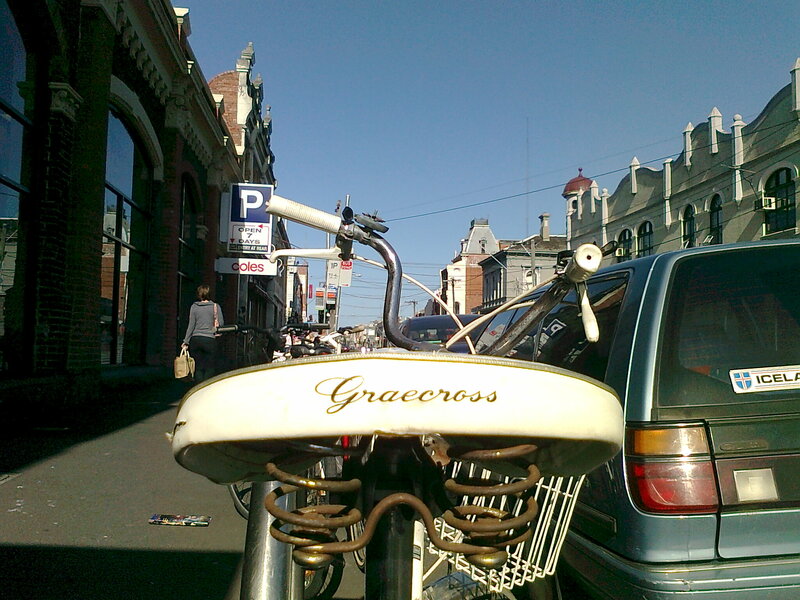 There is no such brand as Grace Cross – it’s Greacross. How could I get that wrong for so long? 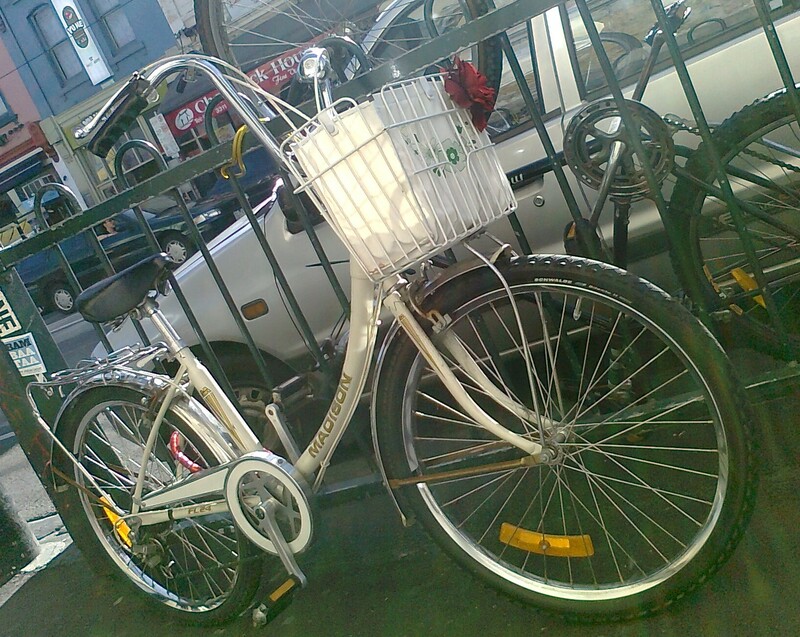 3.Graecross and Madison bikes seem to have a strange synergy – if you see one, there is no doubt the other won’t be far away. 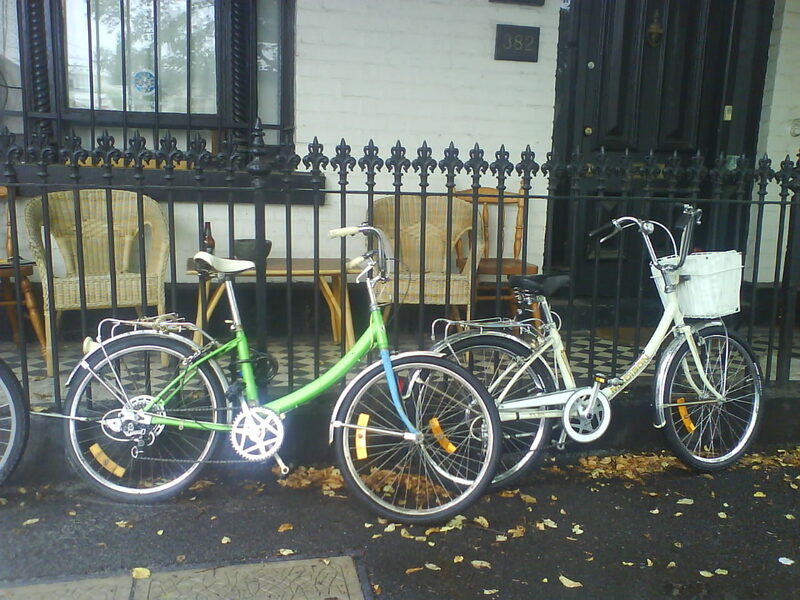 Cases in point: the pair that cohabited in my street (eyes left), though the Madison has since moved out, and the lovingly detailed Madison I spotted today just minutes and metres from the white Graecross. 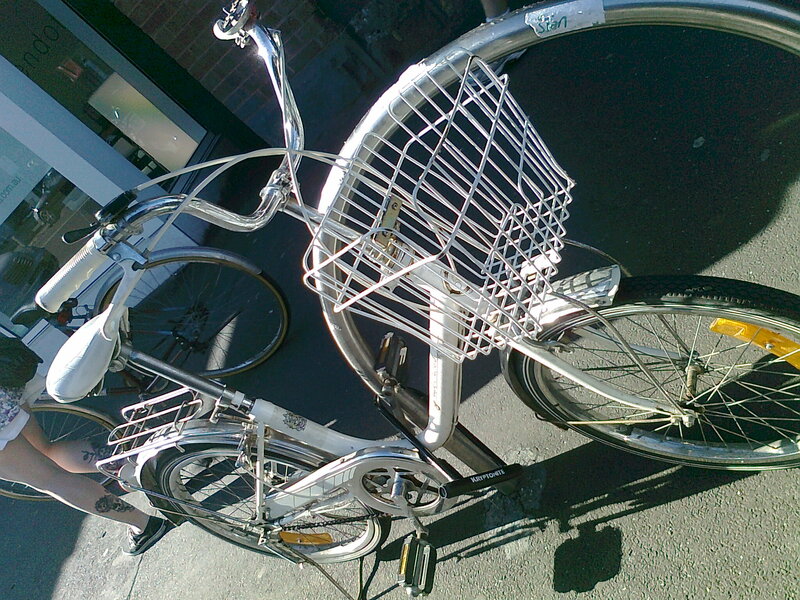 and I haven’t even got to the other Very Interesting Bike Facts, such as,did you know that these little Graecrosses have a head stem lock? FASCINATING! I hope you are taking notes, there may be a test afterwards.